A cat that has its tail in an upright, vertical position is often considered to be a friendly greeting or that they are in a playful mood. If there is an added tail quiver when your cat sees you, it means they are happy, content and confident to be around you as it is an added greeting. A tail that is upright, but more arched, usually means they are defensive or ready to attack and do not wish to interact. Cats will often wrap their tail around your arm, leg or neck to show affection. Along with a headbutt from a cat, this is one of the major signs to show that a cat truly loves you an feels confident around you. When a cat’s tail is in a lower position, extended firmly and is flicking back and forth, this usually means they are showing their displeasure or signs of offensive aggression. It often happens just before a cat is ready to pounce as they stalk their prey. This tail flick is common in environments where the cat does not feel comfortable (i.e. the vets) or if it is slow, confident movement, this can sometimes mean the cat is relaxed and just surveying their environment. 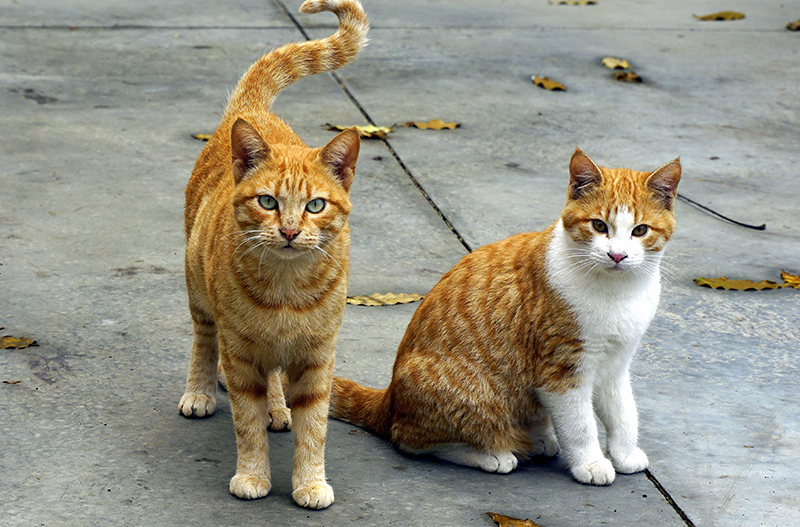 When a cat senses they are in danger or are confronted by another animal, it’s very common for them to fluff up their tail and arch their back. This is to make themselves appear bigger and scarier to whatever they perceive is the danger. Cats are very expressive creatures and more often than not will use their tails to express their emotions and feelings. It takes their whole body to truly show what they are feeling as each part of them will react in a certain way to different situations. Taking time to observe the movements your cat makes will help you to better interpret what your cat wants, helping to build a trusting bond between the both of you. I’ve always had dogs. And when my father brought a kitten, I knew nothing about its behavior. I thought that wagging tails is the same as for dogs. I was really surprised when I read the article https://catspro.com/what-does-it-mean-when-cats-wag-their-tail.html.